The house in Castleisland contains radon levels 185 times greater than the safe limit – one of the highest concentrations ever found in Europe. 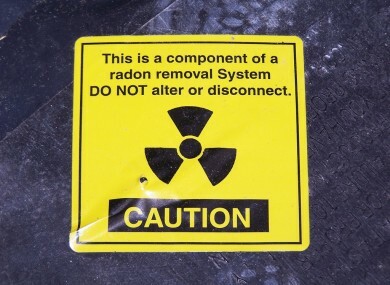 CANCER-CAUSING RADON gas has been found at potentially deadly levels in a house in Co Kerry. The house in the Castleisland area was found to contain the gas, which is radioactive and builds up in the soil, in quantities 185 times greater than the recommended safety limit, RTE reports. The safe radon limit is 200 becquerels, but inside the building the reading in a Radiological Protection Institute survey was 37,000 becquerels – among the highest concentrations ever found in Europe. The survey found around 800 homes around Ireland with radon levels significantly above safe limits. The Castleisland home is a short distance from another house where Ireland’s highest ever radon reading, 49,000 becquerels, was taken in 2003. Three people who lived there died from lung cancer. According to the Irish Medical Times, radon is Ireland’s second biggest cause of lung cancer after smoking and is believed to cause between 150 and 200 cancer deaths per year. Email “Dangerous quantities of carcinogenic gas detected in Kerry home”. Feedback on “Dangerous quantities of carcinogenic gas detected in Kerry home”.